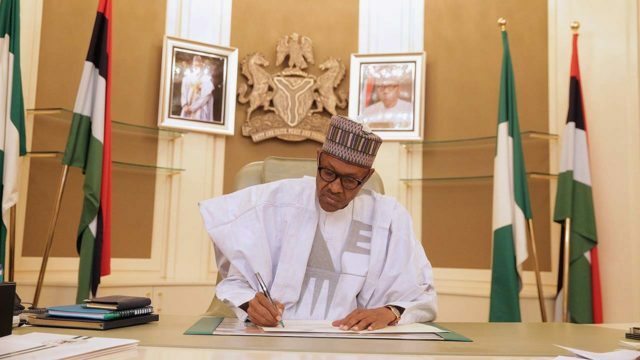 President Muhammadu Buhari will on Sunday depart for the Netherlands to participate in activities to commemorate the 20th anniversary of the adoption of the Rome Statute of the International Criminal Court (ICC), at The Hague. Mr Femi Adesina, the President’s Special Adviser on Media and Publicity made this known in a statement in Abuja on Saturday. According to Adesina, President Buhari is the only world leader invited to deliver a keynote address during the Solemn Hearing to commemorate the anniversary at Courtroom 1 of the ICC’s Headquarters at The Hague. He said the President would also highlight his administration’s campaign against corruption in Nigeria at the event. The presidential aide further revealed that, after the event at the Courtroom, the President would have a bilateral meeting with the ICC Prosecutor, Ms Fatou Bensouda. He said that Buhari would also attend a dinner hosted by Judge Chile Eboe-Osuji, the President of the ICC who is a Nigerian. “The Nigerian leader, while in The Hague, will meet with the Prime Minister of the Netherlands, Mark Rutte, to discuss bilateral issues such as migration, peace and security, and economic cooperation. 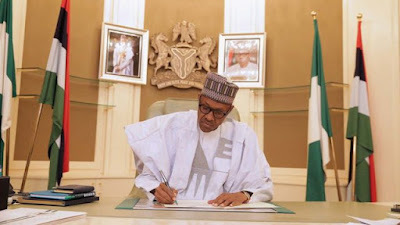 “The President and his delegation will have a separate roundtable with some Dutch Chief Executive Officers (CEOs) of companies based in Nigeria with a view to urging them to expand their investments, especially in agriculture, oil and gas in Nigeria,’’ Adesina added. He said President Buhari would also tour the Port of Rotterdam and Shell refinery Pernis, Hoogvliet. According to Adesina, on the margins of the President’s visit, Nigeria and the Netherlands will sign a Memorandum of Understanding on bilateral consultations. He revealed that Buhari’s delegation to the Netherlands would include Gov. Simon Lalong of Plateau and Gov. Oluwarotimi Akeredolu of Ondo. Others are the Minister of Foreign Affairs, Geoffrey Onyeama; the Minister of Justice and Attorney-General of the Federation, Abubakar Malami; the Minister of Agriculture, Audu Ogbeh and the Minister of State, Industry, Trade and Investment, Aisha Abubakar. The Group Managing Director, Nigerian National Petroleum Corporation (NNPC), Maikanti Baru; and the Managing Director, Nigerian Ports Authority (NPA), Hadiza Bala-Usman are also on the president’s entourage.